After more than three years of development, Dell will unveil its version of the Surface Studio early next year. Dell's getting ready to take on Microsoft's Surface Studio in 2017. During a promotional video at Adobe Max, Dell revealed a Surface Studio-like PC aimed at creative professionals—but don't call it copycat device. 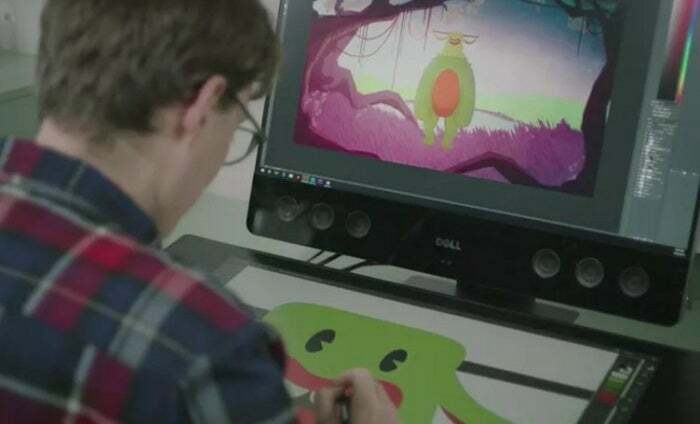 HP introduced the first creative-oriented PC, the Sprout, two years ago, and Dell says it's been working on what it calls the Dell Smart Desk (working title) for about three years. Shortly after Adobe Max, the company took to Twitter to say the Smart Desk will be formally announced during the Consumer Electronics Show in January. 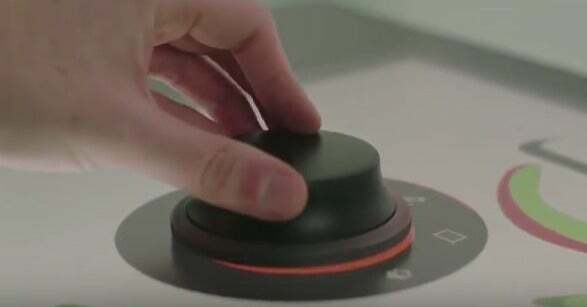 Dell’s current vision for its version of the Surface Dial. The Smart Desk actually appears a bit more complicated than the Surface Studio. Microsoft’s new enterprise product is essentially a massive tablet that can sit at a comfortable angle for touch interaction for long periods. The Dell smart desk, meanwhile, is a combination of a Surface Studio-like tablet with a regular computer monitor. Dell’s version even has its own rendition of the Surface Dial that has also been under development since 2014. HP's Sprout, by contrast, doesn't require any hockey-puck-like controls, but it includes a scanner for making 3D images and uses a projector and special work surface to manipulate images right on your desk. 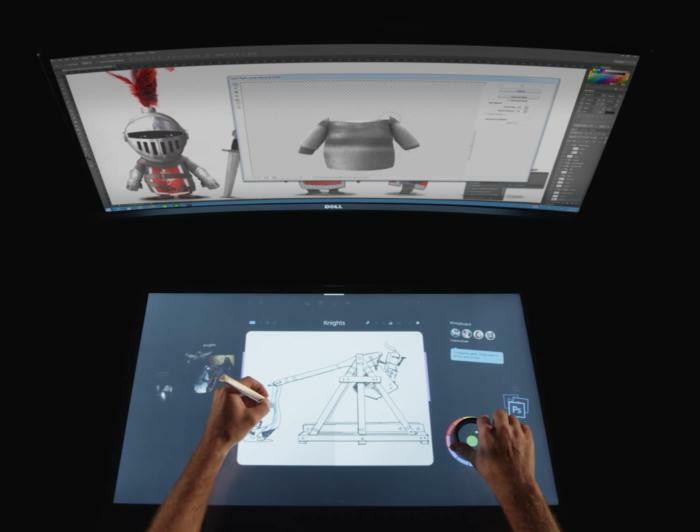 Dell's Smart Desk displays the critical interactive parts of an application on the tablet portion of the device, while the results of that work are on the regular display. An early version of the Dell smart desk. If you were looking at a map in Street View mode, for example, the actual map would be on the tablet, while the street view photos would be on the computer screen. A composer could have a keyboard and mixing tools in front of them on the tablet, while the new composition’s various tracks would be on the monitor. There’s no word on the specs of the Smart Desk, an official name, or even a price. All we know is that Dell will show it off at CES and will announce more about the Smart Desk at that time. The story behind the story: Dell's Smart Desk may be a three-year project, but it’s no surprise the device is being teased now. With Microsoft announcing the Surface Studio and Windows 10 Creators Update, this is a perfect time to promote what will no doubt be a pricey investment. In fact, it wouldn’t be surprising to see a lot of PC vendors focused on the creative professional during CES given the features and capabilities rolling out in the next major update to Windows 10.